Boiler finance is the new trend but is it worth it? With a pay-monthly boiler arrangement you can spread the cost of your boiler for up to ten years. You pay a low up-front cost and then pay monthly instalments for the cost of the boiler, installation and guarantee – a boiler plus service plan. This means that for your monthly payments you don’t have to worry about costly repairs. Guarantees vary between companies and manufacturers but many include call-outs and parts, so you don’t have to worry about any additional bills whilst you are paying off your boiler. Some agreements also include a yearly service for your boiler to make sure it stays fully functional. It is a more expensive option than buying a boiler outright and you should avoid using boiler finance if possible; however, it can be a good way to avoid paying up to £2,000 up-front (or if you’re British Gas £3500, was the quote I was given online) – especially for those who can’t afford it. Furthermore, monthly boiler insurance and service plans can also be costly. For example, the typical cost of a similar plan offered by British Gas is around £18 per month. Depending on the length of guarantee you select and the services you require, monthly plan provider Pay Monthly Boilers offers plans starting at just under £22 per month when you spread the cost of £1,500 over 10 years. 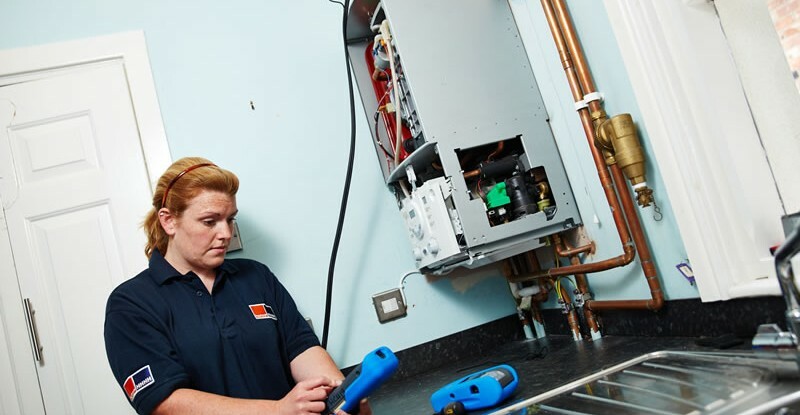 Whilst this is a long tie-in period and you are paying more in the long term, this can be an affordable way to ensure your home has reliable heating and hot water for years to come, and that you can receive boiler care or replacement should you ever need it. Apart from the big brands such as British Gas and Help Link some manufacturers offer their own finance plans. Baxi seems to be the most promient within search engines but there are also deals from innovative companies such as Flow Energy. Their boiler is a combined heat and power (CHP) appliance and the claim is that it will generate electricity to put back into the home.